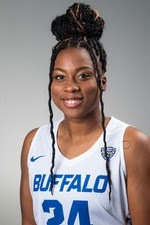 Cierra Dillard averaged 26.5 points, 7.5 rebounds, 5.5 assists and 5.5 steals in wins over Georgetown and South Dakota State at the Southpoint Shootout in Las Vegas. Against the Hoyas, Dillard posted a season-high 33 points on 8-of-15 shooting, 4-of-5 from beyond the arc and a perfect 13-for-13 from the free throw line. She also added six rebounds, eight assists and five steals against Georgetown. The next night, she scored 20 points and added nine rebounds and six steals, both season highs, against South Dakota State. Sophomore Jayvon Graves averaged 16.0 points per game this past week as he helped the Bulls ride their win streak to five games to start the season. 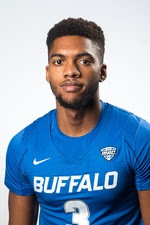 He had 16 points in each of Buffalo's wins, tying his career high in points from last year. On Wednesday night, Graves added a team-high six assists in the win over Dartmouth. He also made his first appearance of the season on ESPN's Top 10 plays. On Saturday, in the win over Marist, Graves hit four three-pointers and he also tied his career high with three blocked shots. Graves is currently second on the team in scoring at 12.6 points per game.